His career has been spent partly in the aircraft industry on the design side, and more latterly in academia, concerned mainly with aeronautical engineering. 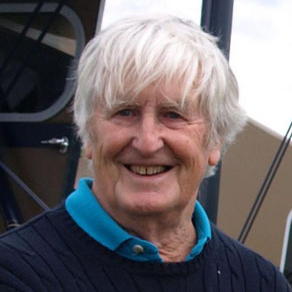 He first gained his PPL on Magisters from a Flying Scholarship at Elstree in 1953, and currently flies as part-owner of a Piper Cherokee and a Cub, both based at White Waltham. During his period of chairmanship, he has encouraged the development of a higher quality house publication, resulting in the improved General Aviation, and also the establishment of the AOPA Members Working Group that aims to collect information, views and opinions from the wider private pilot membership. He also established the AOPA Maintenance Working Group, with membership including Engineers, Pilot/Owners and CAA Regulators. He deals with members’ queries and problems on engineering and maintenance issues, and represents AOPA on several GA related external committees and boards. Copyright © 2019 AOPA UK. All Rights Reserved.Trading name of British Light Aviation Centre Limited, registered in England and Wales.